Yes, hunny…you read that right. EIGHT DOL-LARS!!! When ROSS says “Dress for Less,” they mean it and I LOVE IT! Not everything cute has to be expensive. I’ve preached this forever but ladies, it’s true! I know some people say, “Ew, ROSS?” Why, though? I’ve never understood that. For example, the bartenders at the restaurant I wore this to did that exactly! Want to know the funny part? The GUY was the one who turned up his nose and the girl was all for it! HA! Now I will say that I’m not a “regular” at ROSS. It is a bit overwhelming with the…well, mess, but sometimes if you are willing to take the time, you can find pure gold, baby! I needed to wear a blush outfit for my girl’s wedding shower. I did have a few items in my closet; however, they weren’t fitting the vibe. I didn’t have time to order anything online and I just didn’t want to go to the major malls around here in Dallas. Talk about overwhelming. I knew it was going to be a bargain buy! I popped in and out of a few of my go-to stores but NO blush. Ugh; so annoying when you need something and nowhere has it but all other times, it’s everywhere! My last stop was Ross. At this point, I was giving up hope and thought I’d be wearing long sleeves to a summer event. I was not about to show up in any other color because the BRIDE always comes first! Then out of nowhere, right in front on the SALE rack. Yeah, a sale at Ross. There hung my eight-dollar, size small, perfect summer blush romper! I couldn’t believe it. I didn’t even try it on. I knew I loved it and knew it was my only choice. It was flowy, made of a cool, light fabric, cut out sleeves, and looked more like $80! It was perfect! 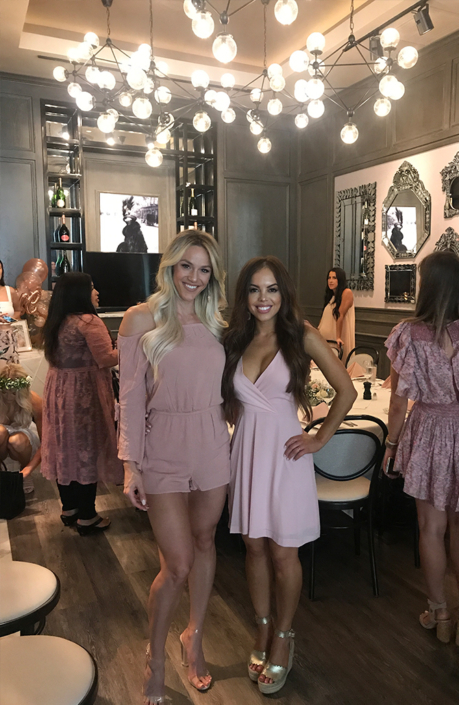 I showed up to the bridal shower at TOULOUSE adorable little brunch spot in the new LEGACY WEST, by the way, matched to a T and complimented at the door. I had no shame sharing where I bought this little hidden gem. I love being able to find a steal and not look like it! That just means more shopping for later. Ha-ha! Paired with my favorite Plexi heels from LOVECULTURE and a fuzzy clutch my mom gave me for Christmas, I felt like a million bucks! If you think you have to break the bank to look stylish or even look expensive, think again. If you’re not quite bold enough to announce where you got it, remember this…no one has to know! 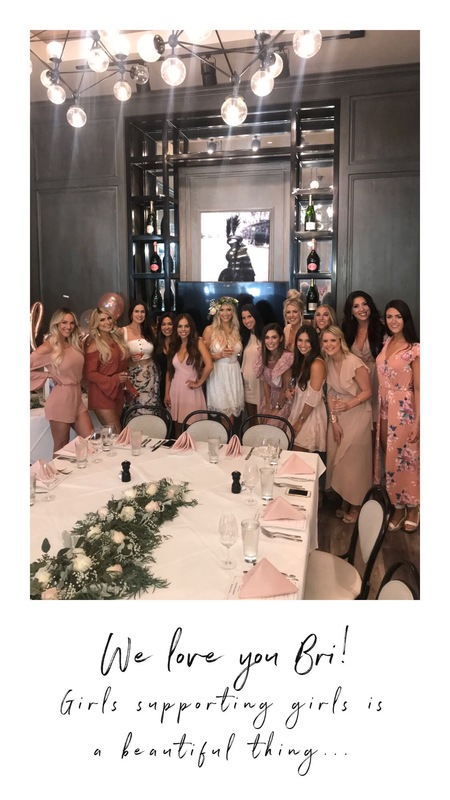 The bridal shower was so much fun and I had a blast hanging with all of my girls! Congrats to Mr. and Mrs. Mike and Brianne Brown, as they are officially husband and wife now!